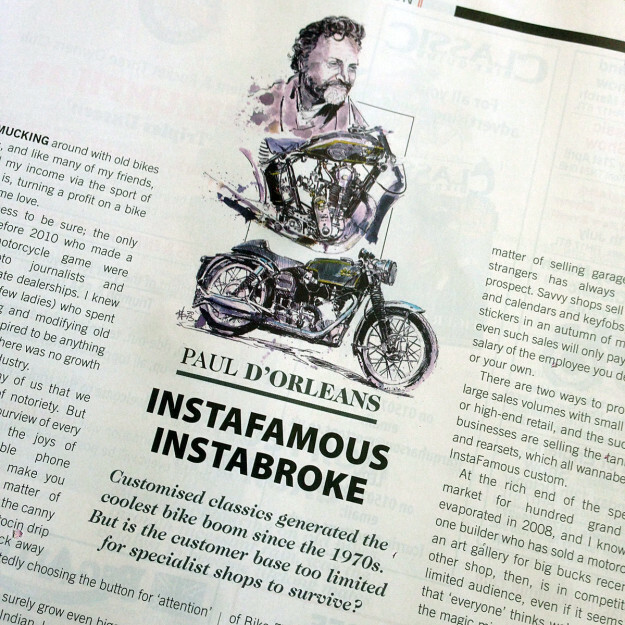 Moto-journalist Paul d’Orléans writes for the magazine Classic Bike Guide, and stirred up the hornets’ nest with this recent column. 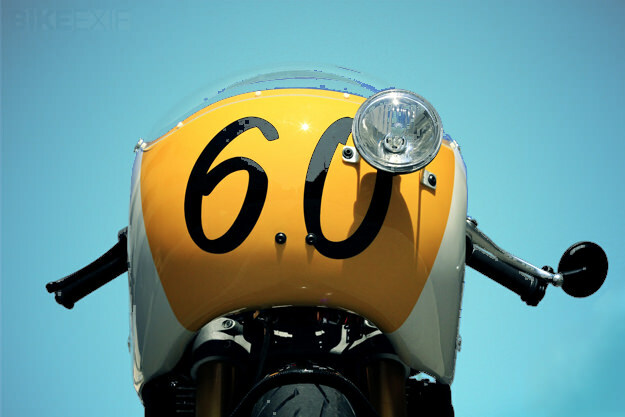 It’s a perceptive and thought-provoking commentary on today’s custom motorcycle scene. I’ve been mucking around with old motorcycles since the 1980s, and like many, financed my bike habit via the sport of Arbitrage. That is, turning a profit on a bike after giving it some love. It wasn’t an income; the only people living off the motorcycle game were (impoverished) moto-journalists and employees of legitimate dealerships. I knew lots of fellows, and a few ladies, who spent all their time repairing and modifying bikes, and none aspired to be anything but a garagiste. At the time, Von Dutch lived in a trailer, Ed Roth had long-ago lost his Revell contract, and only bands sold t-shirts. It never occurred to us that someday we’d be aglow with some sort of notoriety. But ‘some sort’ is now within the purview of every human on the planet, via the joys of InstaFame. A downloadable phone trick has the power to make us globally recognizable in weeks. Via the savvy curation of images, we trigger a mutual oxytocin drip in our fans and ourselves, liking and being liked, tapping away like starving lab monkeys, who’ve chosen the button for ‘attention’ over the one for ‘food’. It’s fame, man, to the hungry end, and maybe even bigger when you’re dead; is that the ghost of TuPac or Indian Larry I hear laughing over posthumous sales? Don’t think I’m judging; I owe the mysterious gods of the Internet a debt of gratitude for my own lifestyle; let’s just hope I don’t owe them my soul. The shimmering dust of glamour has always coated parts of the motorcycle scene, and right now it’s falling on handsome, bearded guys wearing heritage work clothing and riding ’69-clone choppers or knobby-tyred customs, or girls doing seat-top acrobatics aboard same. A mix of hopes and pleasures motivate today’s custom motorcycle builders; the joy of creativity mingled with glow of Web attention, and now there’s an established recipe for making a ‘cool’ bike, tested via the comments section on a hundred moto-blogs. It’s easy to mistake the whoosh of online chatter for a wind to fill your sails, and a virtual wind is exactly that, while selling garage-altered metal to strangers has always been difficult. Savvy shops sell logo’d up clothing and calendars and keyfobs, scattering brand stickers in an Autumn of moto-foliage… but even such sales will only pay the bills, not the salary of a desperately-needed employee – or your own. 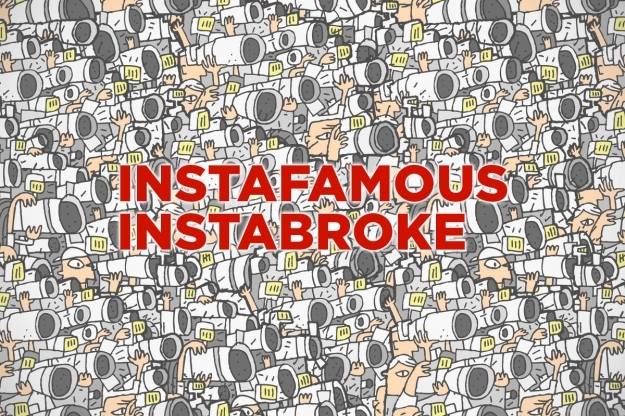 There are two ways to profit in business; large sales volumes with small profit margins, or high-end retail, and the successful moto-businesses sell the tanks and levers and rearsets the Wannabes need for an InstaFamous custom. At the rich end of the spectrum, the market for hundred grand choppers evaporated in 2008, and I know exactly one builder who’s sold an art-gallery motorcycle for big bucks. Every other shop, then, is in competition for a limited audience, even if it seems at times that ‘everyone’ thinks we’re cool and ‘everyone’ wants your bikes…but is that the magic mirror? The first signs of iCustom casualties have recently appeared even in the luminous portal of Bike EXIF; shops going belly up, euphemistically ‘starting other projects’, i.e., jobs which pay. It hasn’t exactly been a Gold Rush (that’s happening in the App-creation world itself), and I know young bike builders don’t expect to get rich. Still, it seems the business of pushing aesthetic boundaries with a motorcycle is best trod with a trust fund springing your step, or proceeding with deep humility and little expectation of worldly increase; the hackneyed rule for artists. I’ve spoken with genius motorcycle builders whose controversial but gloriously innovative customs have netted them almost zero sales. A ‘like’ isn’t a dollar. But then again, as they slowly go broke or accustomed to reduced circumstances, the refrain is ‘there’s nothing I’d rather be doing’. The coolest bike boom since the 1970s has kids buzzing like bees at Wheels & Waves, DirtQuake, and Born Free, and featured in popular books like the ‘The Ride’, to which I contributed. Riding bikes while young, beautiful and creative is a heady cocktail, as is the glamour of InstaFame. But let’s not confuse the rain of electrons, following our every move, for a rain of cash. Because in the end, bikes are just motorcycles, but business is business. Reprinted with kind permission of Classic Bike Guide. Radical Ducati image by del Perro. Paul d’Orléans runs The Vintagent website.